This is a book to be read by a blazing fire on a winter's night, with the curtains drawn close and the doors securely locked. The unquiet souls of the dead, both as fictional creations and as 'real' apparitions, roam the pages of this haunting selection of ghost stories by Rex Collings. Some of these stories are classics while others are lesser-known gems unearthed from this vintage era of tales of the supernatural. There are stories from distant lands - 'Fisher's Ghost' by John Lang is set in Australia and 'A Ghostly Manifestation' by 'A Clergyman' is set in Calcutta. 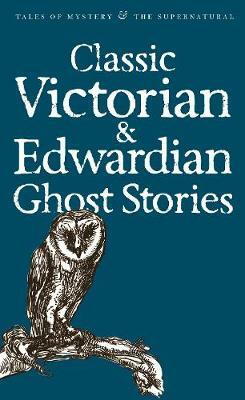 In this selection, Sir Walter Scott (a Victorian in spirit if not in fact), keeps company with Edgar Allen Poe, Sheridan Le Fanu and other illustrious masters of the genre.